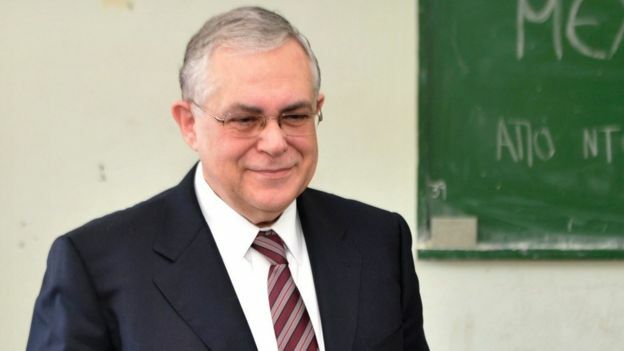 Former Greek Prime Minister Lucas Papademos has been injured by an explosion inside his car in Athens. Reports say the blast may have been caused by a letter bomb. Mr Papademos, 69, and his driver have suffered leg injuries but their lives are not believed to be in danger, the reports add. Mr Papademos was appointed caretaker prime minister in November 2011 amid political and economic turmoil. He served in post until May 2012. Mr Papademos has also served as vice-president of the European Central Bank. Current Prime Minister Alexis Tsipras, who is attending a Nato summit in Brussels, is being kept informed of the incident, Greek news agency ANA said. Mr Papademos and his driver, who has not been named, were reportedly rushed to Evangelismos Hospital. Some reports say two banking officials were also in the car, but their condition is not known. 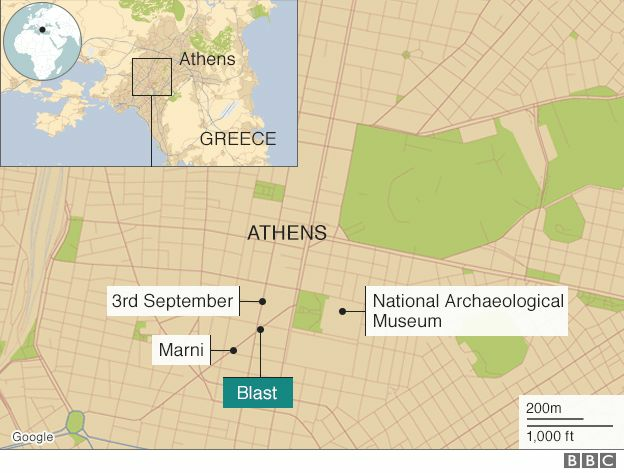 No group has said it was behind the blast. In March, a letter bomb sent from Greece exploded at the International Monetary Fund office in Paris. The employee who opened the letter suffered hand and face injuries and staff were evacuated. Days earlier, a parcel bomb meant for German Finance Minister Wolfgang Schaeuble was intercepted and destroyed in Berlin before it could explode.